A visual juxtaposition of angular geometry with organic textiles and elements reflects the relationship between Washington D.C.’s streets and city parks. Graphics created from different street maps of Washington, D.C. are used throughout the space, connecting the new showroom to its location in the heart of downtown. 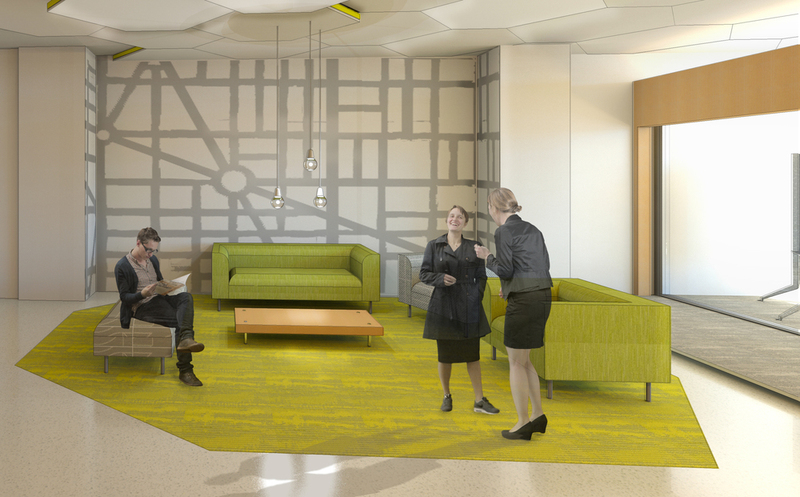 The spatial layout was conceived from a street map that shows Massachusetts Avenue and its surrounding neighborhoods. D.C.’s grid-like streets are disrupted by diagonal axes such as Massachusetts Avenue, which slice through the otherwise organized layout. 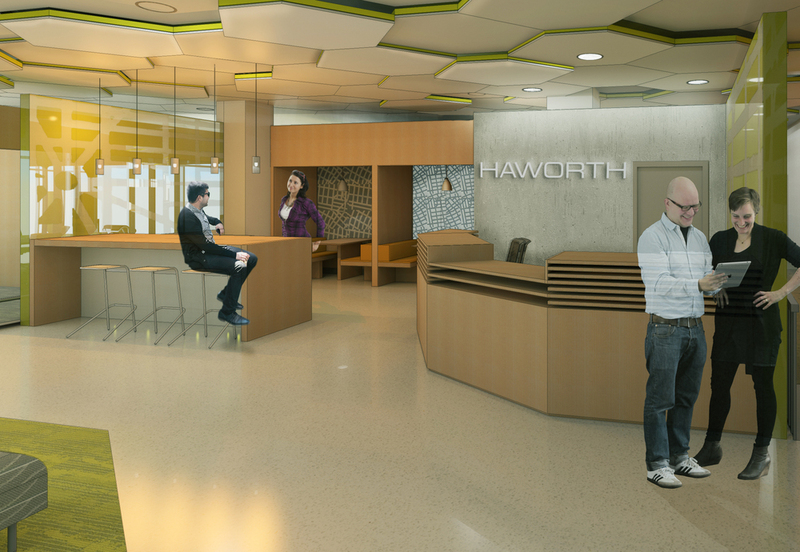 A hierarchy is established by pivotal nodes in the showroom office such as reception, presentation, and Haworth’s interactive “Bluescape” space. These hubs of activity represent the public spaces along Massachusetts Avenue such as Dupont and Scott Circles. Workstations and private offices are laid out around these hubs to allow for an exchange between group and individual work. A street map of Dupont Circle in Washington, DC is used as a graphic in social spaces. The open showroom floor allows for a variety of work styles and flexible meeting spaces.